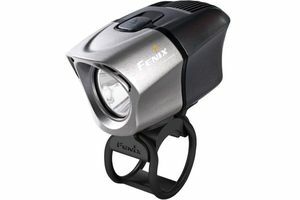 The BC21R is Fenix's first light which offers both a user-accessible 18650 lithium battery and built-in USB charging. 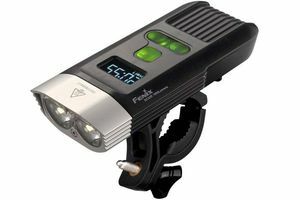 This allows the rider to swap out batteries during the ride, and to charge the batteries in the light or with an external charger. 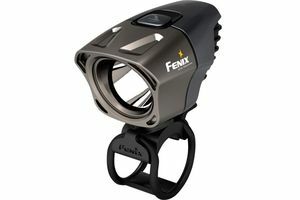 Fenix BT lights use an external battery pack separate from the light head. The BTR20 has an external rechargeable lithium battery pack. 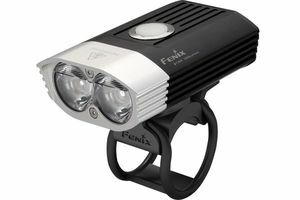 It has a single LED with custom optics designed to produce a hybrid flood/spot beam. The BT30R has an external rechargeable lithium battery pack. 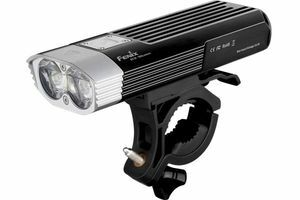 The BT20 has a single LED with a custom lens creating a dual spot/flood beam. It uses 18650 batteries in an external case. 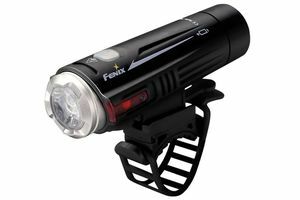 The batteries and charger are not included with the light, but some merchants offer bundles with batteries included.